Zenile Miriam Makeba, also known as “Mama Africa,” died of heart failure at the age of 76, after taking part in a concert near Naples. This final tour was in support of an Italian writer Roberto Saviano in his campaign against the mafia-like organisation Camorra. 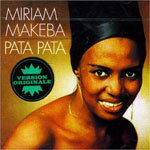 Makeba Suffered a heart attack after a gig and doctors were unable to revive her. 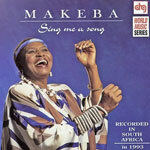 Makeba was born in Johannesburg. Her mother was a Swazi sangoma and her father, who died when she was six, was a Xhosa. As a child, she sang at the Kilmerton Training Institute in Pretoria, which she attended for eight years. Makeba’s a career spanned over 50 years, she began singing with the Manhattan Brothers, a traditional jazz, ragtime band that played to an exclusively black audience during the apartheid era in South Africa. She later formed the all female Skylarks. In 1959, she took the lead in the huge Broadway hit, King Kong, and received the chance to emigrate to the USA, when she was offered the star role in the anti-apartheid documentary “Come Back Africa” in 1959 by independent filmmaker Lionel Rogosin. Anti-Apartheid campaigning had always been a big part of Makeba’s life and while in America she released an album with Harry Belafonte titled “An Evening With Belafonte/Makeba”. The album highlighted problems black people suffered under apartheid. The album received a Grammy for “Best folk recording”. Because of her Anti-Apartheid campaigning, her South African passport and citizenship had been revoked by the South African Government. She had gained honorary citizenship in many countries after testifying against apartheid before the United Nations in 1963. She caused controversy in 1968 when she married political rights activist Stokely Carmichael, this resulted in all of her tours and record deals being cancelled in the USA. This resulted in her touring in Africa, Europe and South America from then on. She returned to South Africa in 1990 and since then made many film and TV appearances such as the film “Sarafina!” and the documentary “Amandla!”. Makabe’s most recent album “Homeland” was nominated for a Grammy. Other lifetime achievements included many awards such as the “Dag Hammarskjöld Peace Prize” in 1986, “Otto Hahn Peace Medal” by the United Nations, and was voted 38th in the 100 Great South Africans in 2004.